I am lucky enough to work for a family that happens to have a second home a few hours away from Los Angeles. Well, not just a home, a vineyard. Complete with a pair of sheep and lamb and lots of chickens (plus an organic garden). But it's the chickens that lay dozens of eggs that I get to bring home occasionally, when there is an over abundance. 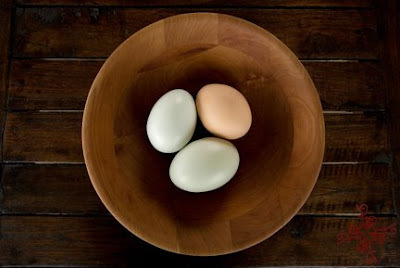 And these eggs are beautiful. They taste unlike any egg available at the market. These yolks are golden yellow, robust, just delicious. 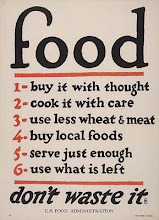 If you happen to have a chance to buy farm fresh, local organic eggs, I beg you to bring a dozen home. You may not ever buy another egg from a supermarket again. 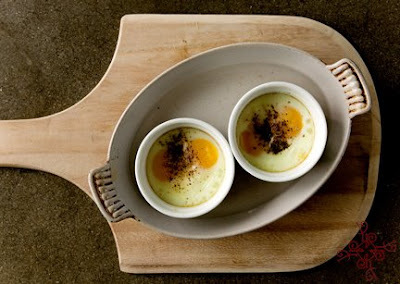 Now, there are millions of ways to use eggs - but I want to offer you a simple breakfast. It takes longer than scrambling, or frying, but the pay off is huge and so yummy with an herb salad and piece of crusty bread. Grease 2 ramekins with butter. 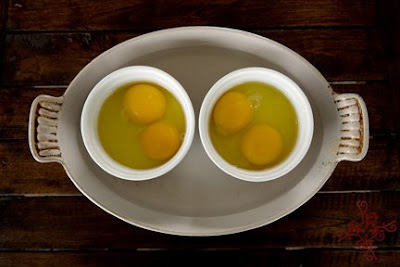 Carefully break 2 eggs in each ramekin and place in an oven - proof dish. Fill dish with water to half the height of ramekin. Salt and pepper the eggs and place in the oven. Bake for about 15 minutes, or until the whites are just set. Be careful not to over cook. 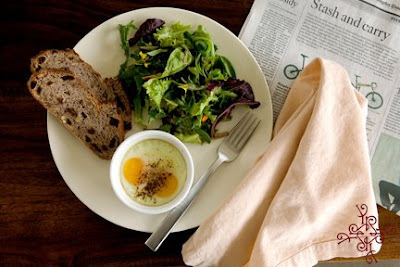 Serve in ramekin with simple herb salad and some crusty bread. Photos by Yvette Roman Photography, 2009. Thanks - just made these. I couldn't use farm fresh eggs, but I did find free range organic. Looks delicious!